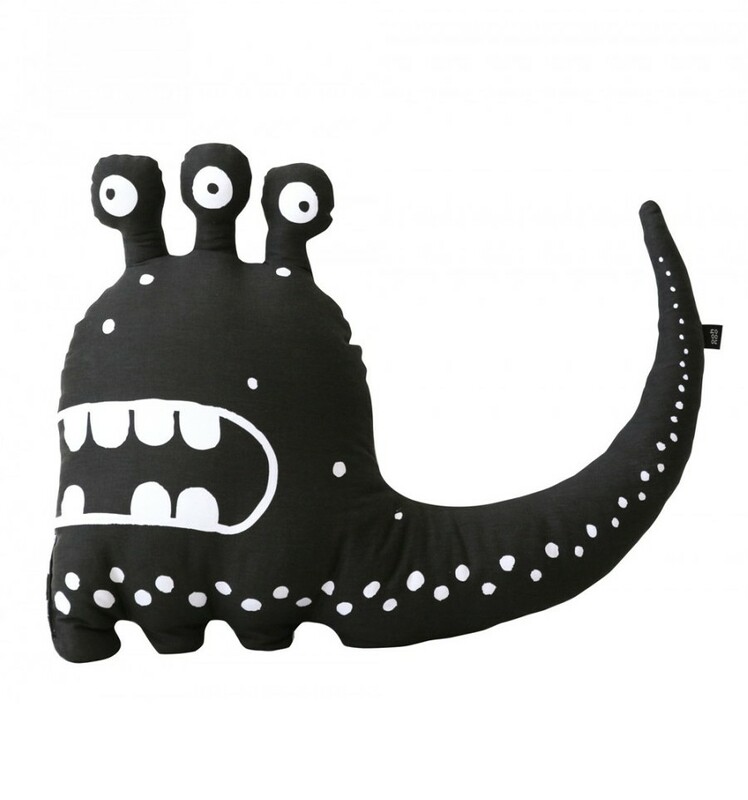 Two-sided decorative cushion in the shape of a monster. Looks particularly lovely when lovingly hugged. less defined with every wash. Don’t fret: this was the look the designer was going for. The more you wash and use it, the better!